You're gonna need a strategy beyond just buying a ton of storage bins! The earlier that children learn organization, the better the chances are that it will become second nature to them. Bring the child into the process from the beginning. Most kids as young as 3 years old really want to participate and are excited to be involved. Plus, if kids are involved in organizing, they'll feel ownership over the project and more inclined to keep things tidy—or at the very least, they'll know where everything should go! 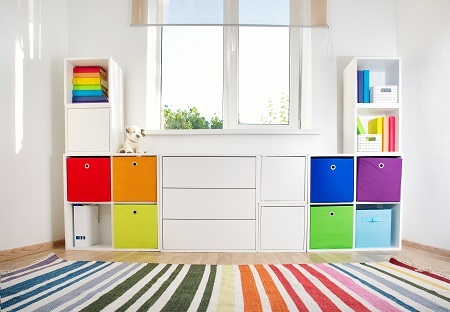 To organize a child's room, keep it simple. Establishing one place for like-minded items is essential to make it easier for kids to remember where everything is. It's the only way that really works effectively.